BJP has given the medical officer the ticket to enter into the fray from Saraskana assembly constituency under Mayurbhanj Lok Sabha segment. Bhubaneswar: The Odisha government on Thursday finally accepted the resignation of Dr Budhan Murmu from the post of medical officer of a primary health centre to pave way for his contesting election from Saraskana assembly seat on a BJP ticket. Acceptance of Murmu’s resignation was notified by state’s Health and Family Welfare department Thursday. BJP has given him the ticket to enter into the fray from Saraskana assembly constituency under Mayurbhanj Lok Sabha segment. 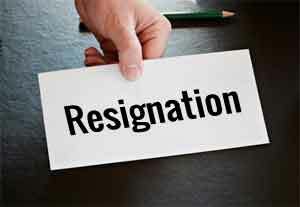 Dr Bhudan Murmu, who is currently working as a medical officer at Primary Health Centre (PHC), Bhaluki under Rangamatia Community Health Centre (CHC) in Mayurbhanj district has submitted his resignation from Government services to contest in the ensuing elections. After careful consideration, the Government has accepted his resignation with effect from April 4, 2019, said the notification. The government’s nod came a day after a BJP delegation comprising party’s vice-president Samir Mohanty, general secretary Lekhashree Samantsinghar and Dr Murmu had staged a dharna at Chief Minister’s residence. The saffron party demanded immediate approval to Murmu’s quit job request so that he can file nomination paper for the assembly elections. The BJP leaders had also met Chief Secretary A P Padhi earlier and alleged that the government has taken six months to accept his resignation submitted on April 4, 2018. Murmu said “I am confident of winning the assembly seat. I have served the people of Saraskana as a doctor and they will further bless me to work for them.